And if you’re not using Flipboard…check it out! It’s a great way to catch up on the news. I still use Feedly for RSS feeds, but for general news, Flipboard is great…the newspaper of the next era. Apple is launching its ‘12 days of gifts‘ app, with giveaways starting 12/26. Each day will feature some new app, book, music, movie, or who knows what, downloadable for free for 24 hours only. This is the first time they’ve done this in the US, so I have no idea what level of quality we’ll see, but I’ve been impressed by the free Christmas music they’ve given away in the past, and considering there are going to be approximately one gazillion new iPad activations on 12/25, my hunch is Apple is going to through some quality stuff out there for free to get people hooked on the App store. It’s definitely worth checking out, you can’t beat the price! I’m already a big fan of Paper, the note/sketch app from FiftyThree. 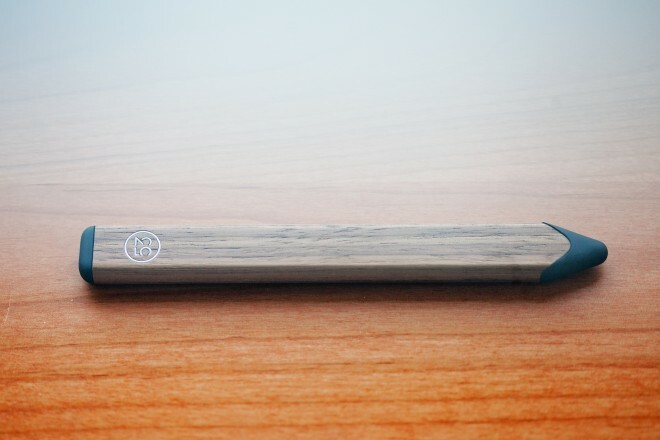 Now they’ve introduced their own ideal stylus to go with their app, and at first glance I’m impressed. It’s double ended…flip it over to erase, for example…and that feature is what caught my eye the most. Construction is either aluminum or walnut, a nice touch. It’s not a passive stylus like most…there are switches embedded inside to assist with this functionality. I really want to test it out for myself so I’ve ordered one. Once it arrives (2-3 weeks, per their website), I’ll post a full review here with a comparison to your typical passive or ‘dumb’ stylus. I’ll also be posting reviews of some other products I’ve been using the past few months (or more) that I think would make good Christmas gifts for the geek on your list. Or for yourself! Read more at Wired, or preorder from FiftyThree ($50 for aluminum, $60 for wood). Paul Elementary School in Idoha is the pilot school in a test by iSchool Campus, which deploys iPads to all teachers and students (there are also more traditional Mac desktops used as part of this system). Lots of schools are incorporating iPads into their curriculum, though I’m not sure any have done so quite to this extent. The feedback from teachers at the school sounds really great, though promotional videos like this usually are. 😉 Check out the video below. 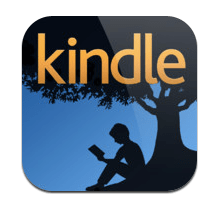 The latest Kindle app update for your favorite iOS devices erases users’ entire freakin’ Kindle library. That’s not a BUG, people, that’s a major F.U. I mean, wow. Really…don’t they test this stuff beforehand? It doesn’t eliminate your access to prior purchases…but it does require you to re-register your iOS device as a new device, and re-download content you want. If you’re like me, that would mean picking and choosing from many, many previous purchases and free downloads. Royal PITA. 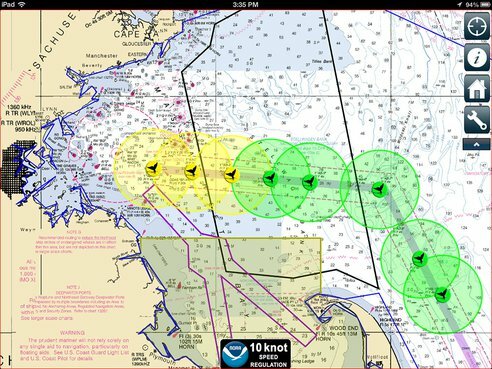 We’re probably all tired of hearing ‘there’s an app for that’, but it’s just too cool in this case…there’s an iPad app to help ship captains avoid whales in some shipping routes. Ship/whale collisions are a big deal for the whales, especially endangered Right Whales (not such a big deal for the ships). This app only covers areas close to shore where detection buoys have been set up, but still, it’s a start, and a cool one at that. Well, Apple has done it again. Today, some people would say they made it easier to put textbooks onto an iPad. I say those people are not seeing the full picture. What Apple has done is to modify the textbook and classroom model that has been essentially unchanged for hundreds of years. They’ve adapted that model to today’s technology, in a way that facilitates creation, access, and usage of this new medium. After poking around it a bit and getting a closer look, I’m convinced that this new approach is far superior to the traditional teaching method. The question now is, will it be adopted? A resounding ‘yes’, if you ask me. The ONLY downside I see is the cost to equip each gradeschool student with an iPad. However, even before this new textbook concept, some public schools have already been doing just that (like Manitou Springs in Colorado). Even in times of decreasing school funding, the schools are being challenged to be more innovative, more resourceful, more efficient, and more effective…and this presents a very compelling argument for them. What a fantastic age we live in.